The chapel has been modernised with carpets and new seating and is very warm and comfortable. 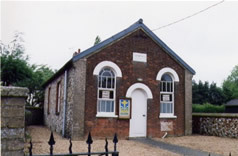 Address: High Street, Tittleshall, Norfolk, PE32 2PJ. Services: Sunday, weekly at 9:30am.